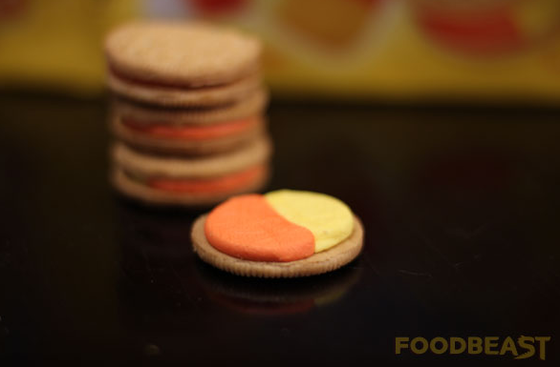 The internet is abuzz today with a photo of Candy Corn Oreos making the rounds. 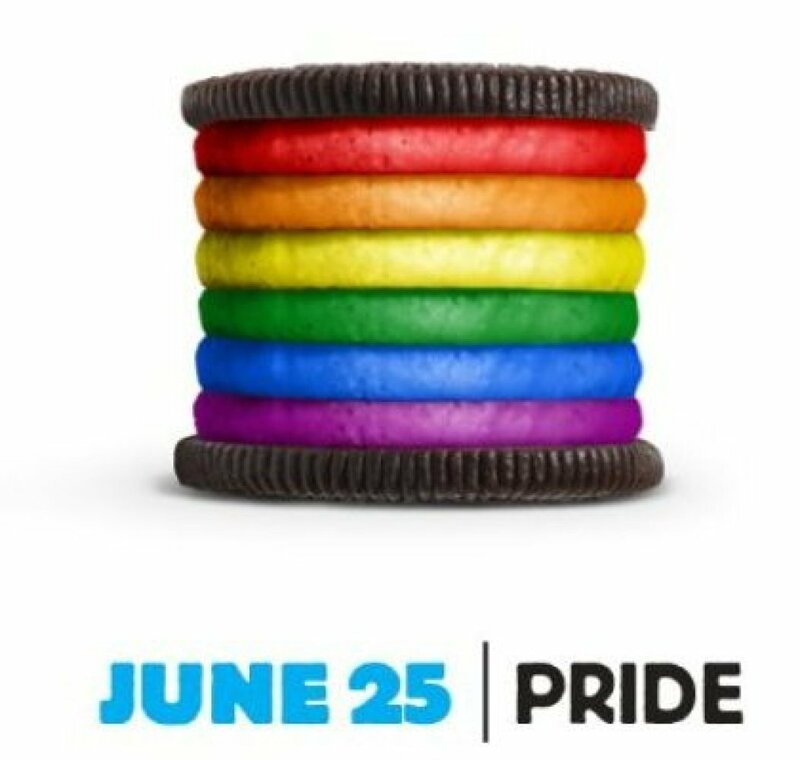 The Oreo camp has confirmed to HuffPost Food that they are indeed real and they will be available exclusively at Target starting next week for a suggested retail price of $3.59. The cookie is a limited edition (Halloween season, clearly) and several blogs are racing to try them (stay tuned, we've got people ON IT as well. Our friends at Foodbeast snagged some -- see below). 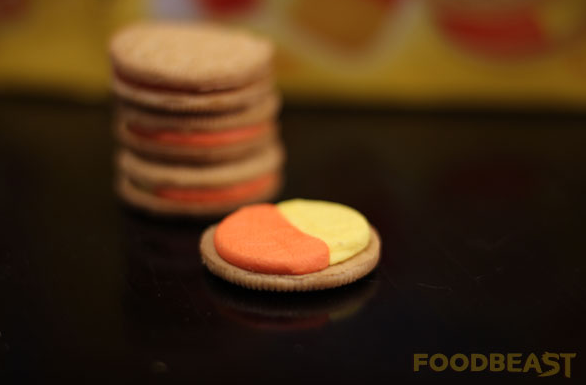 From the looks of the product shot below, the cream center is half orange and half yellow. There's a strange amount of excitement going on about these, but we wonder if it is sheer amazement or sheer horror. If they are anything as good as Birthday Cake Oreos, we're in. 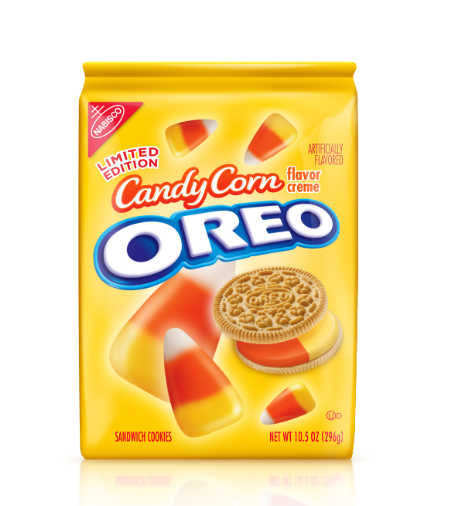 If no one had told you they were candy corn flavor, chances are you would have never guessed it was themed after the popular Halloween candy. There’s a slight hint of candy corn flavoring, but it’s almost indistinguishable from birthday cake frosting flavors.